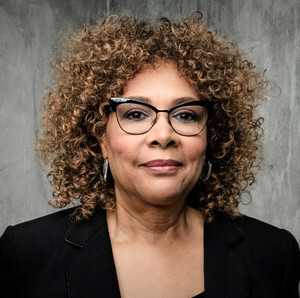 Born in New York City, Julie Dash is a filmmaker, music video and commercial director, author and website creator. Her film studies began in Harlem in 1969, but eventually led her to the American Film Institute and UCLA, where she made The Diary of an African Nun (1977), based on a short story by Alice Walker, which won a student award from the Directors Guild of America. Dash’s critically acclaimed short film Illusions (1982) later won the Jury Prize for Best Film of the Decade awarded by the Black Filmmakers Foundation. Dash’s first feature — Daughters of the Dust (1991) — was the first film by an African American woman to receive a general theatrical release in the United States; the Library of Congress named it to the National Film Registry in 2004. Dash returned to the film’s characters and their Gullah milieu in her novel of the same title, published in 1999. Her television films include “Love Song” (2000), starring R&B singer Monica Arnold, the romantic thriller “Incognito” (1999), and the domestic drama “Funny Valentines” (1999). Dash was nominated for a Directors Guild Award for “The Rosa Parks Story” (2002) starring Angela Bassett. She has directed music videos for Tony! Toni! Toné!, Keb’ Mo’, Peabo Bryson, Adriana Evans, Sweet Honey in the Rock and Tracy Chapman. When not working on her projects, Dash is a frequent lecturer at many leading universities, including Stanford University, Princeton, Harvard and Yale. 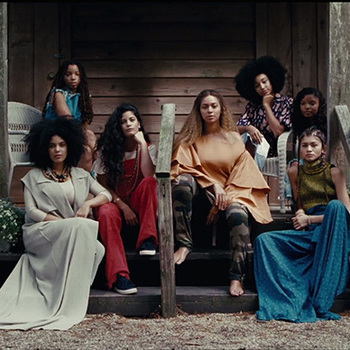 The landmark visual album Lemonade (Beyoncé, 2016) draws inspiration from the evocative imagery of Julie Dash, Arthur Jafa and Carrie Mae Weems, and the haunting poetry of Warsan Shire, to protest the invisibility of Black women, and offer a radical, but complicated, revisioning of Black female bodies and struggles. The screening will be followed by conversation with filmmaker Julie Dash, singer, songwriter, and poet Jamila Woods and Cinema 53 curator Jacqueline Stewart (University of Chicago, Cinema & Media Studies).